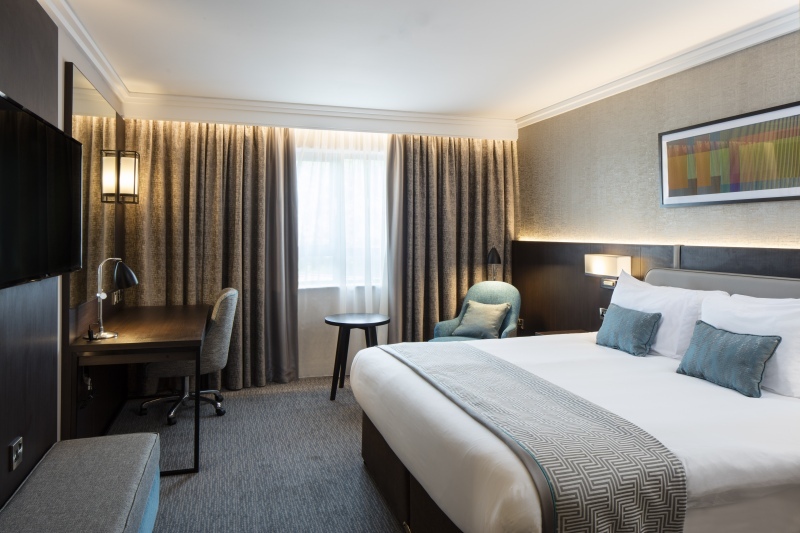 Andras Hotels' flagship property, Crowne Plaza, Belfast has today completed the first phase of a £5 million investment programme in guest bedrooms at the multi award-winning, four-star property located at Shaw's Bridge. 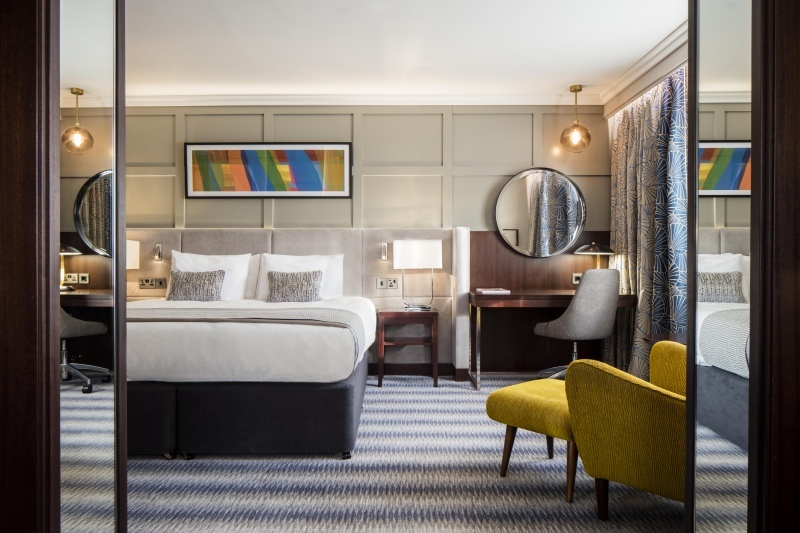 This refurbishment will see a total of 33 new bedrooms added, with a significant upgrade of the property’s guest bedroom accommodation with all 120 bedrooms being completely refurbished. New Executive Club Rooms have been completed and a floor exclusively for IHG Rewards Club Members has been added. The refurbishment and extension has been designed by award-winning local architects and designers Consarc Architects and Philip Rodgers Design who collaborated on a design-led approach, with new bespoke furniture and soft furnishings, air-conditioning, Wifi and all new bathrooms. The result is a decadent, vibrant mix of colours, tones and rich fabrics, combined with a clever use of space, designer furniture, exceptional beds and luxury bathrooms rivalling any luxury hotel in Ireland. This is the final stage of the Crowne Plaza investment programme which, over the past three years, has seen an upgrade of all public areas including a complete refurbishment of the Grand Ballroom, Malone and Laganview wedding suites, a remodeling of the lobby and creation of the Great Oak Conference Centre. The hotel is one of the leading hotel venues in Ireland and was recently recognised at the Wedding Journal Reader Awards, picking up Wedding Venue of the Year Antrim. Crowne Plaza Hotels and Resorts is the upscale, full service hotel brand from InterContinental Hotels Group (IHG). IHG awarded Andras Hotels the first Crowne Plaza franchise in Northern Ireland franchise in 2016, showing commitment and confidence for the 38-year-old company whom it has a long-standing relationship with. Rajesh Rana, Director of Andras Hotels, welcomed the completion of this stage of the investment programme. He said: “We have been working extremely hard over the past number of years to ensure that the Crowne Plaza offers a luxury, comfortable stay with the very best services, amenities and hospitality offering to rival any in Ireland. “The entire team are happy to have reached the final stage of this journey which allows us to significantly further our offering and meet the demand for bed space a stone’s throw from the city centre. “The hotel continues to benefit enormously from visitors both internationally and indeed our neighbours in the South of Ireland, we feel this is also due to our location close to the City and the main arterial routes and the fact that we are within an area of Outstanding Natural Beauty in the Lagan Valley Regional Park which offers our residents something truly unique. Andras Hotels was founded in Belfast in 1981. It currently operates five internationally-branded hotels with 700 beds in the city; Holiday Inn® Express, Holiday Inn®, Belfast City Centre, two Ibis Hotels and the Crowne Plaza. 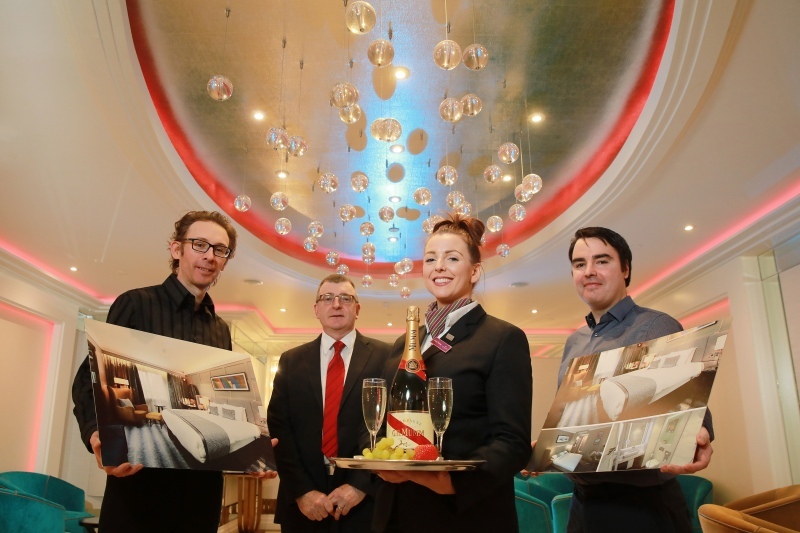 The leading Belfast hoteliers are have also opened a new Hampton by Hilton Hotel in the city’s Hope Street, last week.